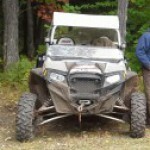 The Keweenaw ATV Club would like to say thank you, to all of those who helped make our After Holiday Membership Drive a huge success again this year. We had about 140 members attend. Thank You all. We would like to Thank the following people and businesses who donated. Ace Hardware , AmericInn, Applebee’s, Aspirus, Bear Belly Resort, Beth and Mike Salmela, Buckos, Burger King Calumet, Auto value Calumet, Candies Corner Café, Carmelita’s, Connie’s Kitchen, Copper Country Ford, Copper Country Rentals, Copper World, Culvers, Dan’s Recreation, Dollar Bay Motorsports, Downtowner Lounge, Drift Inn, Drive Thru Depot, The Gay Bar, Ginos Rest., Harters Carquest, Harters Party Store, Calumet Holiday, Hancock Holiday, Houghton Power sports, Houghton Shopko, The Hut/Waterfront/Denali’s, Jam Service Lake Linden, Joeys Seafood, Jp’s Fast Track, Keweenaw Chevrolet, Keweenaw Co-op gas station, Kirkish Furniture. Koppers, L and L Bar, Lakes Hardware, Lakes lounge , Laurium Marathon, The Loading Zone, M&M Powersports, McGann’s, Millers Recreation, Miners Café, Nancy Pasanen, Northern Lights Party Store, Northern Cuts, North Star BP, O’Reily’s Aouto Parts, Partanen’s Bar, Pats Foods, Peterlin Dist, Pizza Hut, Posh Boutique, Salon 1281, Sayens, Steve and Mary Kaipio, Toni’s Country Kitchen, Torch Lake Service, UP Foods, UP Pub, Walmart, Woodturner-Paul Malnar, The Barber Shop, 41-Lumber, Eagle Harbor Inn, Mark and Mona Englund, Bob Sanderson, Rockey’s Bar, Mariner North, Ziks, Golden Touch Message, Gas Lite General Store, The Fuel Stop, Lake Fanny Hooe Resort, Laughing Loon, Northland Sales and Service, . We would also like to give a great big Thank You to all those that volunteered their time. Jeremy Hattula, Ashley Duquette, Sandra Kobe, Jackie Ketola, Joanne Hannula, Cliff Hannula, Pete Lammi. ALSO A GREAT BIG THANK YOU TO FRED FOUNTAINE, AND THE NATIONAL GUARD WE APPRECIATE ALL YOUR HELP.